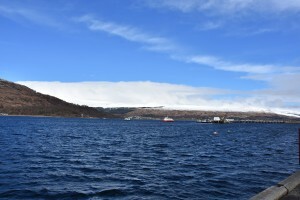 Welcome to Lochview Guest house and self catering apartment here in Fort William which is the principal town of the West Highlands and lies on the shores of Loch Linnhe. Known as the ‘Outdoor Capital of the UK’ it’s home to the highest mountain in the British Isles, Ben Nevis, which is just a short drive away. 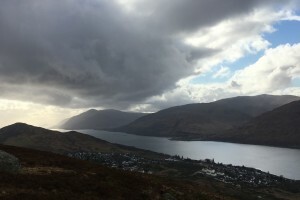 The West Highland Way also ends in Fort William making it an ideal place to explore or relax after completing your walk. Or maybe you are planning a trip on the Jacobite Steam train. Lochview has stunning views across Loch Linnhe to the Ardgour Hills. It’s a beautiful setting and we feel very privileged to live somewhere this special. 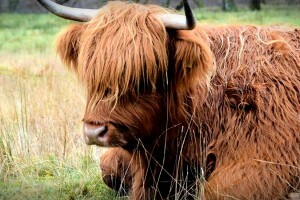 After visiting Scotland for many years we decided to move here as we loved the area so much. We are keen to share our experience and want to welcome you to our home so you can enjoy the wildlife, scenery and fabulous sights that we do every day. 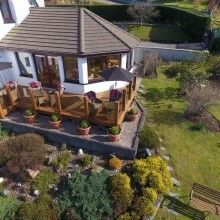 Lochview house sits within mature gardens with lots of visiting wildlife. The Garden room offers stunning panoramic views where you can soak up the sights each morning while enjoying your Lochview breakfast. A number of our guest bedrooms also benefit from loch views and you will be captivated with the ever changing scenery of the Highlands of Scotland.